Karoline Husevåg Kvalsvik had her first day at SINTEF this week. 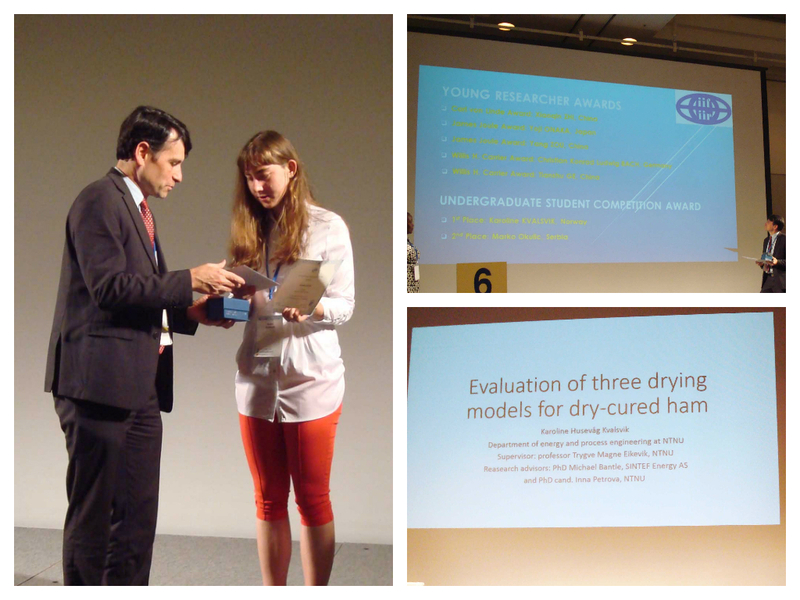 Last week her project work “Evaluation of three drying models for dry-cured ham production” won the first price for undergraduate student work at the 24th International Congress of Refrigeration (ICR2015). The project work was part of her activities in the DryMeat project. The ICR is arranged every 4th year and is an international conference which publishes on level 1. Around 900 researchers are presenting their work on this year’s ICR. Winning a price here is a very good achievement and recognition. Official congratulations from the DryMeat project!